We are a full service stone and granite fabricator and installation shop located in Denver, Colorado. We pride ourselves on taking you from start to finish with all your stone countertop and tile needs. Call today for your free estimate 303-733-2449. Including granite, marble, quartz, limestone, travertine, and recycled glass countertops. Including granite, marble, quartz, limestone, travertine, all other natural stone, ceramic, porcelain tiles, etc. 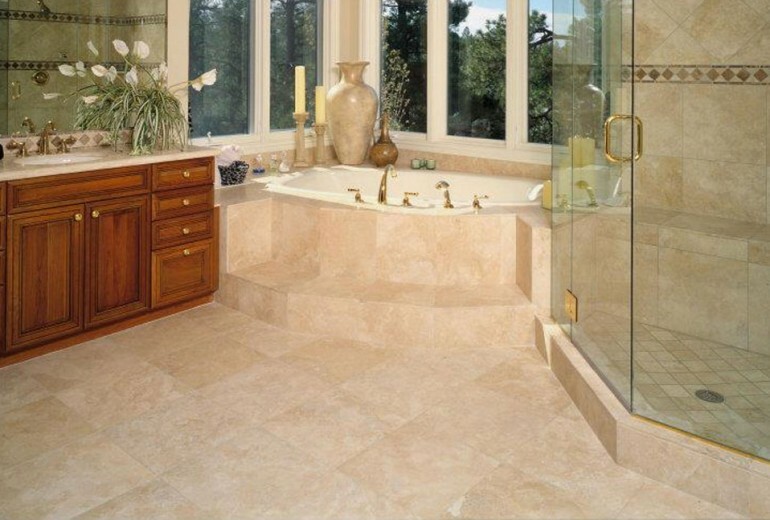 We are your custom tile installation experts in Denver, CO! Remnants are available for small projects that do not require a full slab. We also offer Natural Stone and porcelain tile polishing. Ordering stone for your next project can be an involved process. Creations In Tile & Marble is here to help you from start to finish through each step. Our fabrication and installation consists of, but not limited to; all countertops, slab walls and flooring, tub decks, custom stone sinks, fireplaces, and outdoor BBQ’s. 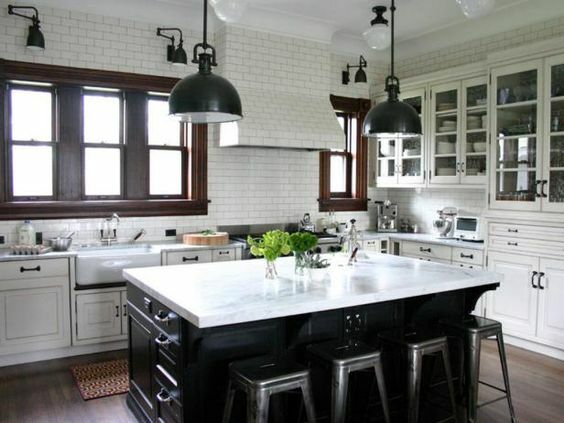 Planning your stone countertop project first involves selecting the right stone or type of material you want to use. You can start looking at materials at the slab supplier’s warehouses to select your material. You do not have to have a material selected prior to getting a bid, if you are unsure of the material we can provide group pricing so you can get an idea of what your project will cost. 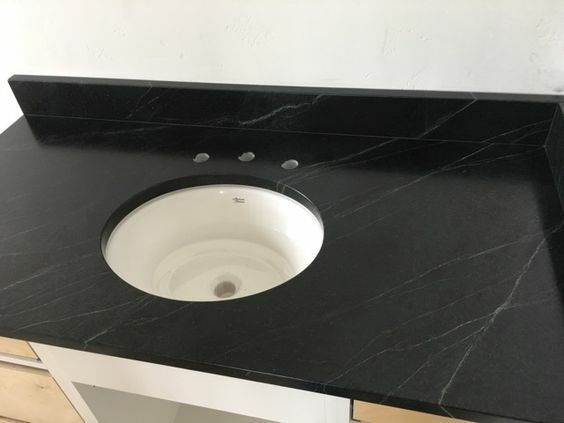 Please pick out an edge for your countertop, also if known, we will need to know if your sink(s) will be undermount, topmount, or vessel holes, if you’re wanting to do a matching slab backsplash from the material selected, what edges are finished, and if your project requires rip out and haul away of existing countertops. 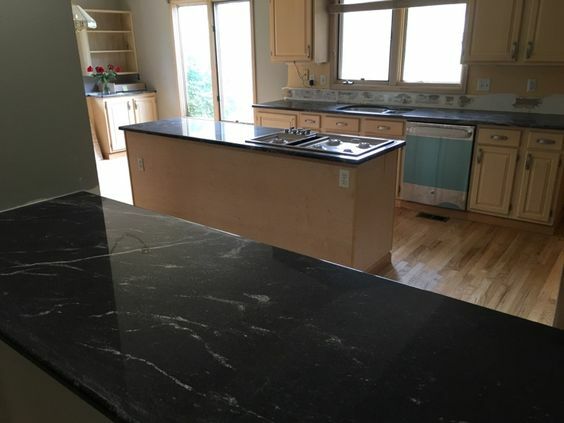 If you are using the existing cabinets and your countertops require rip out please let us know what kind of material is on the existing countertops if known. Please see diagram below of what your drawing should like to get an estimate. 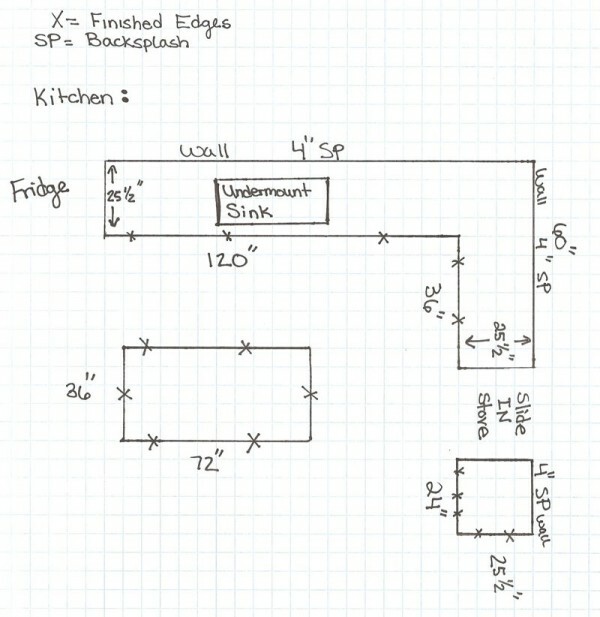 Upload and send us your diagram here. Planning your tile installation project first involves selecting the right type of material you want to use. You can make your tile selections at any of the tile suppliers locations found on the supplier page. Our tile installation consists of but not limited to; countertops, flooring, showers and steam showers, shower pans, fireplaces, backsplash, and tub surrounds. Please send over what area(s) your needing tile installation for, drawings and/or tile design, square footage if known, and rip out details if needed. After accepting our estimate we can then schedule the template. 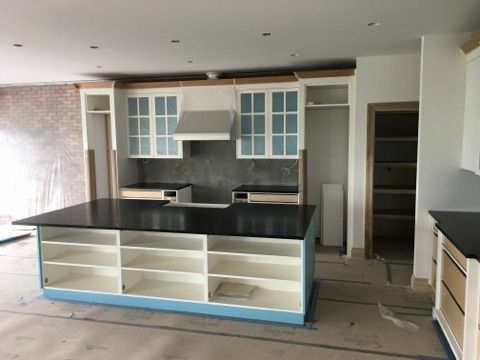 If you are using existing cabinets we can typically template to the countertops that are already installed, as long as there will be no changes to the cabinets, there are occasional cases to where the old countertops will need to be removed prior to template and this is determined by each individuals layout. If you have ordered new cabinets, please call us and let us know when all cabinets have been installed and we will then schedule your template. All cabinets must be level and properly secured. Cabinets must be installed in their final location. Moving or uninstalled cabinets can result in a mis-measurement, resulting in a poor fit. To start the fabrication process, we need to have your template completed, material, edge detail, backsplash information and sink(s) at our office to start customizing your countertops. Once the fabrication of your countertops are complete or near completion we will give you a call to schedule your installation date. On the day of your installation, be sure to clear all installation areas of clutter, trip hazards and general items for our installers. Once the installation is complete, your new countertops will be sealed to help protect your stone for years to come. You can find tips & tricks for cleaning your new countertops in “The Buzz” section.